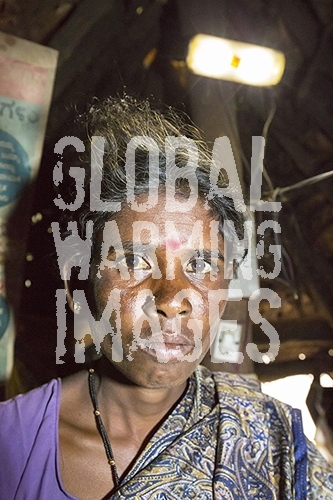 An untouchable woman in her hut, illuminated by an electric light, powered by an A4 sized solar panel, that charges a battery, and enables her to have light. Before the installation of the solar panels, the houses would be lit by kerosene lamps. Over 1 million women and children die every year in india from inhaling kerosene fumes.